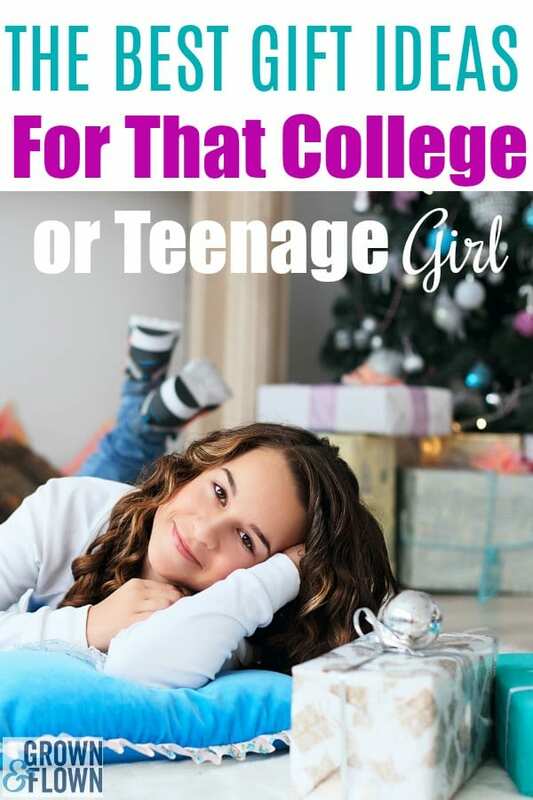 I’ve always loved holiday shopping for my college daughter as I can think of so many cute and practical things for her, many that I would secretly love to have myself! If you have a daughter, niece or other young woman in your life, here are our favorite holiday gifts for her, 2018. We receive small amounts of compensation from purchases made through some of these links. Thanks! Allbirds We love these shoes, our kids love these, too. We include them as holiday gifts for girls but they are great for any family members. Check out the limited edition Allbirds which have JUST been released. Faux Leather Leggings There is no more comfortable garment in the world than leggings and these faux leather ones from SPANX take the look up several notches in style. These best-sellers will be your daughter’s go-to look for the holidays. Project Repat Twin Size Custom T-Shirt Quilt Voucher If you want to give your teen a voucher for a twin size Project Repat T-shirt quilt, here’s where you can buy it on Amazon. After the holidays you can go through that stack of t-shirts, together, to make her custom t-shirt quilt that will be a sentimental and practical blanket she can take with her to college. Pay $89.99 (regular price $109.99). Uniqlo Uniqlo is our go-to shop in NYC for fashionable, durable and incredibly-well priced apparel for every member of our family. Their Ultra light-weight down selection is amazing and this Compact Jacket is our favorite. Wear it as a sweater if it’s only a little chilly or under a coat for an extra layer or warmth instead of a sweater – it is just as lightweight. Birthstone Pendant Necklace The classic elegance of this Kendra Scott necklace means that your daughter will wear it easily with jeans or dressy outfits, and she’ll never outgrown the style, especially when you personalize it with her birthstone. They can be ordered in a choice of necklace metals with dozens of different stones. Car Phone Holder More than anything, we want our teens to be safe, especially when they’re driving. This very-popular phone holder sticks on the car’s dash or window and can be adjusted to an angle that makes it easy for your daughter to use her phone hands-free. Pura Vida Bracelets These trendy bracelets are made by artisans all over the world. Through sales of their charity collection, Pura Vida has donated over $1.5 million to 174 non-profits. 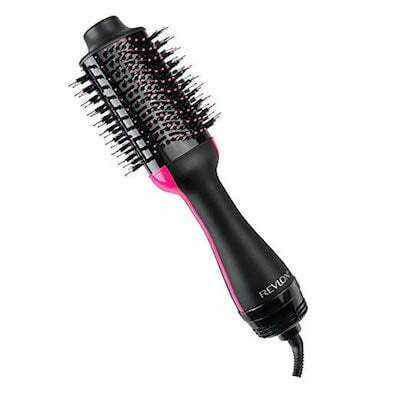 Hair Dryer/Styler This hair drying tool by Revlon has become a favorite in the Grown and Flown community and here is why – you can dry your hair in less time than with a conventional blow dryer and shape it with the built-in round brush as you dry it. Your daughter will love this new dryer and, as it is a bit pricier than standard models, might not be something she would splurge on herself – a perfect gift. Wireless Earbuds This is the #1Tech gift that teens are asking for this year and this pair is well-regarded and well-priced, especially compared to the Apple earbuds. Once charged, they can last for over 3.5 – 4 hours’ music playtime. Cat Studio Collegiate Pillows We are a little in love with the Cat Studio designs and think their collegiate pillows are memorable gifts for current students and for those lucky enough to already know where they will be freshmen in the fall. Lots of other gifts in their collegiate line as well as pillows. MVMT Watches We just discovered this watch brand that began in LA in 2013. (Where have we been??) 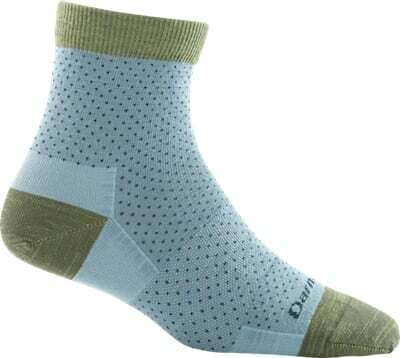 They are very stylish and are sold at an excellent price point. Here are a few to give you an idea – the MVMT site has dozens more to chose from, all of which are an elegant blend of classic style with very 2018 touches. If your daughter is asking for a watch for Christmas, this is definitely a brand to check out. 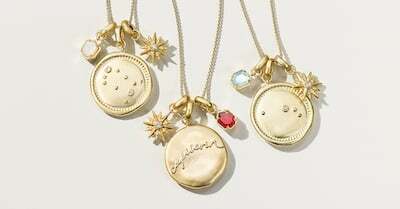 Kendra Scott also just launched a collection of charms that can be added to necklaces and bracelets to create a highly personalized and original look. This is definitely NOT your mother’s charm bracelet but very 2018! Everlane is an online store with a fantastic shop in Manhattan. It is one of our favorite spots to buy classic pieces (for guys or girls), including this gorgeous sweater. Long Distance Friendship Lamps Do you have a high school senior who will soon be leaving home? Consider getting two or more of these lamps that, with the touch of your hand and the illumination that follows, lets her know you are thinking of her. Your touch is blue, hers is green (or the color of our choice) and you share your connection without saying a word. Pet Pillows We would love to think our college kids miss us but the truth is they miss their pets the most. Here is a fun way to “take” that pet to college with them as a customized pillow. This boutique site for women has some of the most gorgeous leather bags and knitwear we have seen anywhere. We are a little over the moon about the mini jewelry case that can be monogrammed as well as their small leather bags, all of which make fantastic gifts. Look at the Holiday 2018 gift collection for more ideas. Minted If your daughter’s living in an apartment, chances are she’s looking at blank walls and wishing for something to help her make this space look like the adult she’s become. We think that Minted has some of the most innovative designs for original art and photography. Great place for gifts to help her make her house a home. Quilted Jacket A new jacket is a wonderful holiday gift especially when it’s in a color other than black. We think your daughter would love this one in rose gold with a pretty quilted design. Available in four colors (yes, there is black) Athleta also offers this jacket for every body type – regular, tall, petite and plus and comes in six different sizes so you can find just the right fit for your daughter. Sports Bottle With Phone Holder At last, the problem of how to carry a water bottle AND a phone while you work out at the gym has been solved. This is one of our favorite gifts for her (and him) this holiday season. Crossbody Bag Here is an adorable crossbody bag that’s just the right size for a phone, a few cards and a lipstick. Your daughter can grab all and go. Pick from nearly 20 colors. One of Oprah’s 2018 Favorites. Outdoor Voices has become wildly popular for workout gear and, if your daughter lives in leggings and workout clothes like mine does, she would love a gift from this trendy newer brand. Outdoor voices offers a wide range of clothes for young women (and men) of all sizes. 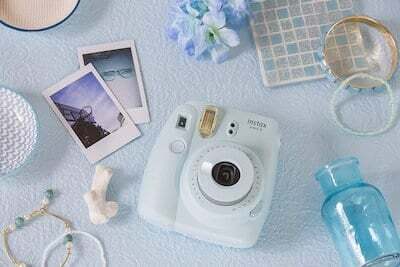 Instant Camera Taking and printing out photos – instantly – with a Fujifilm Instax Mini 9, makes old school photography cool again. Cameras come in light blue, cobalt, flamingo pink, smokey white, and lime green. Comes with a selfie mirror and macro lens to allow for one-of-a-kind keepsake photos. As our daughters begin to look for internships and take first jobs, they’ll need to upgrade their wardrobes and Stitch Fix is a fantastic service that my daughter is using for this purpose. It was very easy for her to sign up and take the style survey to let her Stitch Fix stylist begin to know what “look” she prefers. A $20 styling fee was applied to the clothes she purchased and she returned the rest with free shipping. Stitch Fix comes in petite and plus sizes so this could be a godsend for hard-to-fit young women. There is NO better safety device for your daughter than a charged phone and this one is exceptional. It is way faster than other models, and the charging cables are built in, meaning no more cables getting tangled in backpacks or forgotten at home. Margaux Shoes are incredibly comfortable in a standard size or, wait for it, made to measure. If you know someone who struggles with shoe sizing, a meads-to-measure Margaux shoe is truly a gift like none other. We are big fans of the suede loafers and the booties and think their ballet flats are among the prettiest, anywhere. Reading for fun or reading for school should not have to involve heavy books in a back pack. Maybe it’s time for your daughter to try out an e-reader and this NEW model (nov, 2018) is waterproof and has twice the storage as the older ones. Socks with a Message Notes-to-Self socks offer words of encouragement, now in lovely gift boxes. Who wouldn’t love comfy, new and matched socks, especially when they provide a little inspiration to get you daughter’s day off to the right start? Meet 100 People This is career, no, life advice, that our daughters and sons need to hear. Finding the right career is about far more than finding a job. And it starts with meeting 100 people. Buy the paperback version here.